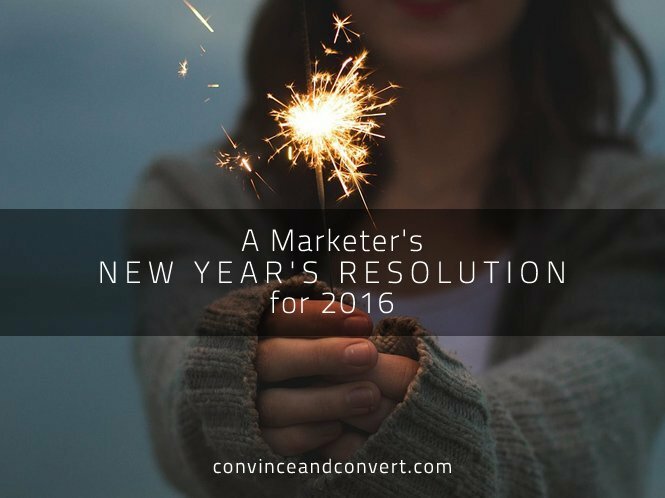 The biggest challenge B2B marketer will face in 2016 is the same as 2015, ’14 and ’13 before it. Want to take a guess what it is? I’ll save you some time: It’s process. Process alone is the greatest gap we see in today’s modern marketing environments. These days, acquiring software is the easy part. The barriers have come tumbling down. Buying SaaS tools is simpler than running to grab lunch at Chipotle. The acquisition pain that used to lead to months of planning has become an afterthought. As a result, your typical marketer is left with a tech stack that has a lot of power, but they likely don’t have a framework for putting that power to work. Software without process is a guaranteed problem. Before slapping down the corporate card to buy the latest fix, take the time to identify the process that will solve the root of the problem. Then, and only then, should you purchase new software. More organizations need to focus on stewardship, process, organizational adoption, and governance—rather than always thinking a shiny new purchase is a guaranteed fix. Almost every organization has purchased software they didn’t end up using. Many organizations also have tools that are so separate from each other that more than one internal department tries to purchase a tool another silo already has. Something needs to change. You’ve heard of the slow food movement, right? It’s all about returning to traditional methods of cultivation and cooking, even when they’re not as convenient as ramen in the microwave. The “slow” trend needs to creep into marketing in a big way for 2016. Let’s start measuring twice and cutting once. Call it what you want (and there are many names): Predictive Analytics. Predictive Metrics. Regression Analysis. All this data is about taking concepts such as demand generation, lead scoring, buyer personas, and sales plays and basing them on intelligence rather than intuition. Look to your numbers for greater insight into what’s actually going on, rather than jumping to buy the next flashy tech tool without deep insight and analysis. As data continues to improve, no longer will the marketer’s best guess be the standard. Instead, repeatable and data-driven decisions will drive all inputs and outputs—for smart marketers, it already does. The key here is ensuring you are capturing everything you can about not only the buyer, but also about your interactions with them. You probably already have tools to do this: CRM and marketing automation. Make sure your tech isn’t sitting on the proverbial shelf, and that you’re using it to its full potential. If you invest the time to collect the right data and acquire the right education to interpret it, you’ll have a scientific basis for every decision you make in 2016 and beyond. Let’s face it: Process design and data science aren’t easy skills to master. This biggest opportunity for marketers this coming year is knowledge share and education. That education is probably going to be up to you: 81% of employers say that they are looking to employees to learn on the job or in their free time. In response, smaller, highly actionable groups are popping all over the US like SalesHacker, TOPO Councils, Content2Convergence, and others. My advice to marketers: Create a mentor group and best practices library. Look to free webinars, podcasts, online courses, and events in your area. Save the handouts and bookmark the recordings. If you’re a modern marketer with big aspirations, self-driven professional development is the best way for you to supersize your strategy and tactical muscles. Predictions are largely bogus, so let me close with a fact that holds for both professionals and technology: You simply can’t afford to work in a silo any more. Technology needs to serve many purposes, and it needs to serve an entire organization. For marketers, the leaders in the industry specialize in one or two things, but are also generalists in everything else. For today’s environment of hyper-change, becoming a full-stack marketer is the only way to win in 2016.